Wallpapers are the spice of our digital life. Change things up, make it personal! Not everyone's Roundcube needs to look identical. With the wallpaper plugin you can add your own photos and backgrounds with just a click. 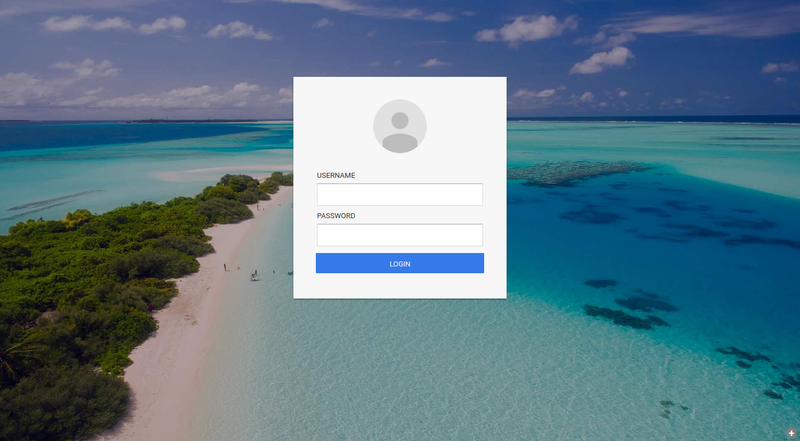 With the free extension containing 366 full-HD images, you can make your Roundcube login page look awesome! The images will automatically change every day and provide a fantastic login experience for your users! Configure the Roundcube content box opacity. Auto dark/light detection for icons and text. Change the image blur effect. Fade the images to black and white. Use the free image extension to make your login page awesome! This product is licensed for a single Roundcube installation. In order to use it on multiple installations, you must purchase multiple copies of the product. This product includes 1 year free technical support. To see all the plugins and skins in action go to our demo site.